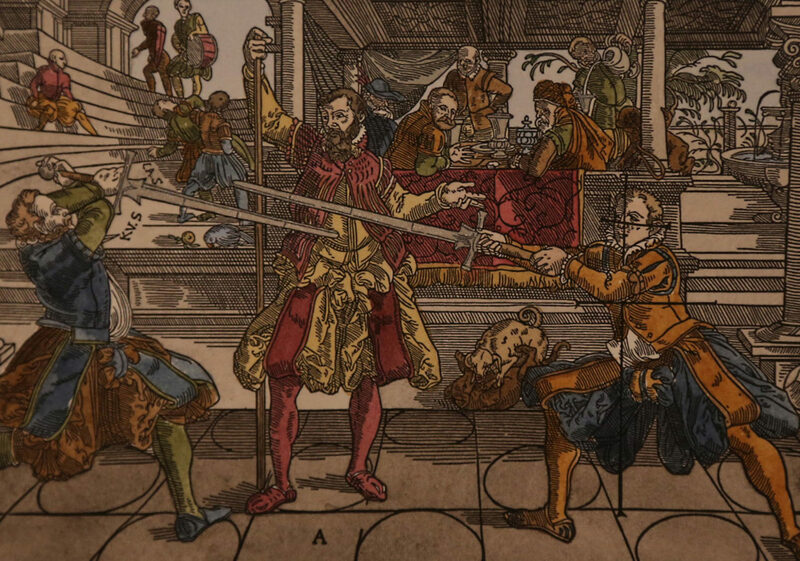 Learn essential precepts in an eight week introduction course to historical German fencing in the manner of XVIth century fencing master Joachim Meyer. This class introduces the basic fencing skills of one of the last inheritor’s of the Liechtenauer tradition of swordsmanship in an eight-part series of hour-long class sessions. Each class begins with a warm-up routine, followed by guided exercises and drills using historically techniques to improve your basic skill while imparting tactically sound martial arts concepts. $100 for all eight sessions pre-paid. The training equipment needed is included. Space is limited and seats are first come first serve.